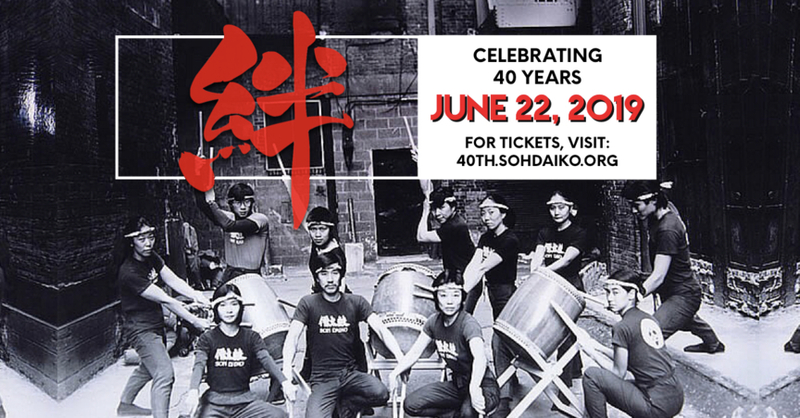 Soh Daiko members are excitedly gearing up for our return to the LaGuardia Performing Arts Center as a part of Carnegie Hall’s Neighborhood Concert Series, where we will be presenting a full-length program complete with Soh Daiko classics and modern hits. This is a family-friendly event, and tickets are free, but you must RSVP! 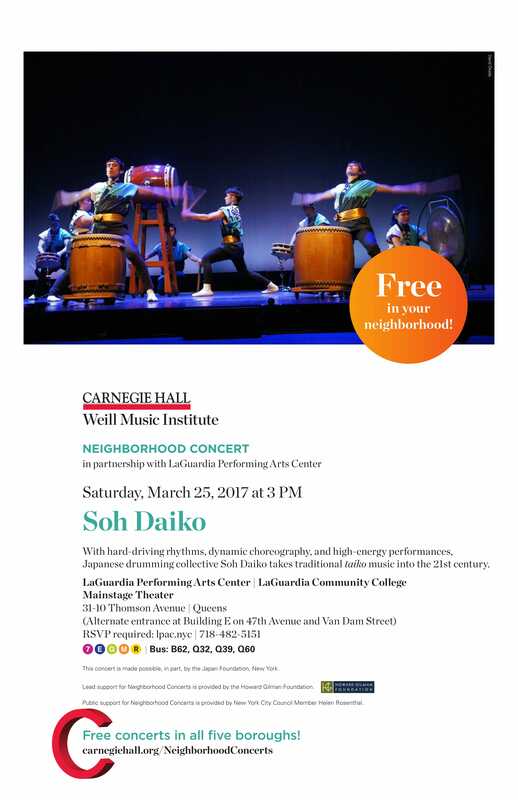 For more information, check out the flier below or visit Carnegie Hall’s official website.